David A. Nice Builders Inc. is a general contrator in Williamsburg, Va., and was in business more than 20 years before it began a new undertaking in 1997: Nicewood Enterprises Inc. 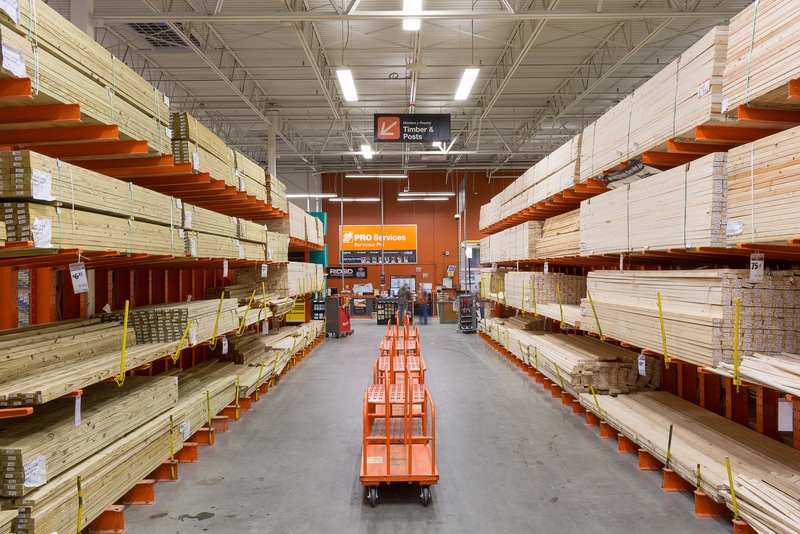 The diversification into a division that builds store fixtures grew out of a need in the construction industry for trim and cabinetry. Nicewood builds high-end custom fixtures and millwork for clients throughout the country. The company has turned its experience as a builder into a winning combination for its customers. "The expertise of the two entities are strong selling points for both companies. We also can build the interior of the entire store baseboards, crown mouldings, whatever customers need. That's the big thing that we offer a one-stop shop," says John Finney, executive vice president of Nicewood. 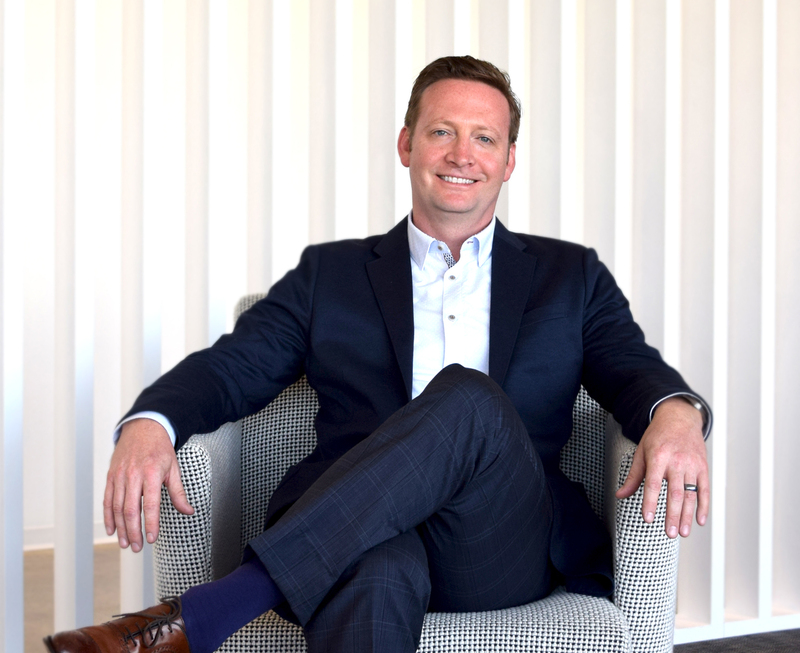 Nicewood recently developed a new niche in high-end watch and jewelry stores, with a job that grew from a relationship that owner David Nice built with the store's director of construction. One of the most important reasons for the growth of Nicewood has been David A. Nice Builders' expertise in taking a project from start to finish. "When the project is started at Nicewood, it's built by us, we understand it, we know how to put it together, how to modify it if necessary and how to make changes," says Finney. "You're talking about some very expensive cases and if you make a mistake, it can be a very costly mistake." Nicewood builds custom cabinetry to fit a particular space. "We try to use every bit of space in the store for merchandising," says Finney. "We might suggest modifying an existing design to fit the reality of the physical layout and limitations." Although in some cases the client does its own site surveys and measurements, Nicewood would prefer that its parent company, DNB, do this. This helps them understand the measurements and the power requirements. One of the biggest challenges in making fixtures for watch and jewelry displays is making the lighting fit the client's product, says Finney. "You're trying to show their product and that's the key for any successful fixture manufacturer." You're focusing attention on somebody else's product, not yours. With lighting changing minute by minute, you always have to be paying attention to keep your edge, he says. "We virtually install the fixture here at the shop, put it completely together as it's going to be sitting in the space," says Finney. Nicewood takes pictures of the fixture with a digital camera as it is being assembled, when it is all together and as it is disassembled. Those pictures are then sent to the site. Finney says that it's better than drawings. "It builds confidence in the installer, because he sees it together, he knows it's going to look right and it's going to fit." The store display is also built in the plant to prevent future problems. "We try to do as much prep assembly as we can to make sure everything fits the way it's supposed to fit, because it's not stock cabinets," says Finney. It's better to discover a problem before it's shipped, even before it's finished, to see if everything fits together and works right, he says. So it's put together before it's finished and broken down at the finishing area. After it goes through the finishing process, the whole thing is reassembled with all the knobs, hardware, locks, lighting, wiring and stickers. It's then assembled the way it will go in the store for one final check. "We leave everything on that we can and then we package it. There's a list inside the cabinet that has everything that goes with it. We label that cabinet on the inside, on the top and again after it's completely wrapped," says Finney. That way there's no question at the site and it's easier to maneuver pieces to the right place. Finding experienced and skilled labor is a problem in this community that is at least an hour outside Richmond, but Nicewood has grown its skilled labor force from within. 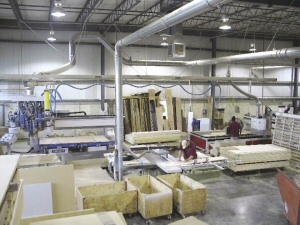 Nicewood relies as much as possible on CNC equipment and cross-training its employees. Most of the fixtures are built using plywood or MDF panels for the cabinets because they are stronger and fastening methods work better than in particleboard, says Finney. The company also works in hardwoods, metals and solid surface. Glass is outsourced as is large amounts of moulding. The company makes its own doors, except for flat doors. Blum hardware is used for the cabinetry because of its durability, which is important if a display case is opened 100 times a day. The company buys its hardwoods surfaced on one side and hard-ripped. The wood is planed on a Powermatic planer. 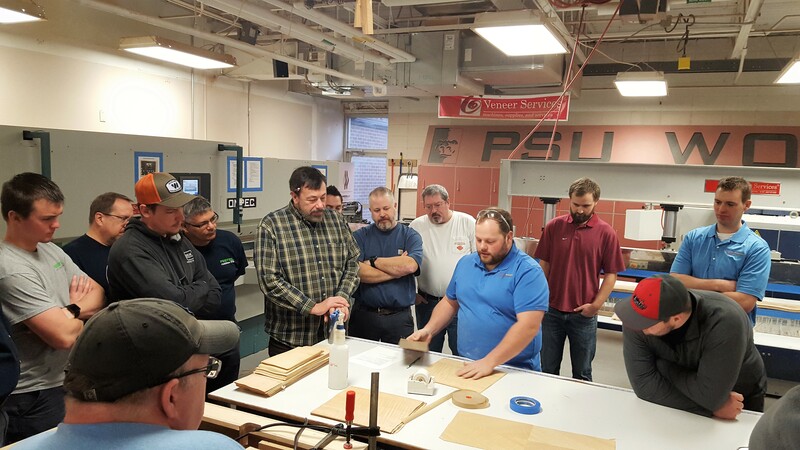 Wood panels are cut in the milling department that has a newly purchased Shoda CNC router with 16-tool changes, a Holz-Her Cosmec CNC router with eight-tool changes, a Striebig vertical panel saw and an SCM sliding table saw. A UniMove vacuum lift is in the router area to make the job physically easier for the operators dealing with cutting four or five units of plywood per day. Most of the cutting is done on the CNC routers, except for smaller jobs or parts, which are cut on the two other saws. The goal is for each router eventually to be set up for specific tasks. Parts are sanded with the SCM Sandya widebelt sander and edgebanded with the SCM edgebander. Parts are drawn up using AutoCAD and machining is done with Planit Solutions' AlphaCAM. Dust control for the entire plant is handled by a Torit 80 HPT 8 system. Sanding and finishing are a critical part of the operation. Because most of the wood used is high-quality species, Nicewood uses mostly clear finishes to show off the beauty of the wood. Binks spray equipment is used to apply M.L. Campbell pre-catalyzed lacquer. A number of joinery methods are used. Appearance is everything in a store, says Finney. "The big goal at Nicewood is to not have any visible fasteners anywhere. We don't face-nail any of our product. We always blind fasten. We want to make sure we don't have a unit going to a store where you see nail holes and putty," he says. "We do a lot of fixtures where four or five cases are put together once they're in the store, so a lot of them are pre-doweled so they will slide together." The company just purchased the large building it's in and already we need more space, says Finney. "It's going to get more challenging because there are so many opportunities out there," he says. And key to Nicewood's success are the owners, David and Deborah Nice. "They've given the company the opportunity to grow."